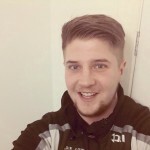 Jack Logan made his long awaited return to action, as Hull FC Reserves produced a superb display to beat St Helens 36-30 at a scorching Brantingham Park. The centre, who has spent the past year out with an ACL injury, played his first game since the injury suffered against Halifax last season. A welcome return to action, Jack started the game on the right wing, before moving to the left centre, and remained involved throughout. He got a try assist, made a few good carries, yet, and as expected, there were one or two errors in his play, but all in all, and taking everything into consideration, he should be pretty happy. Ultimately all that mattered today was getting minutes into his belt, and thanks to the reserve concept, he got just that. 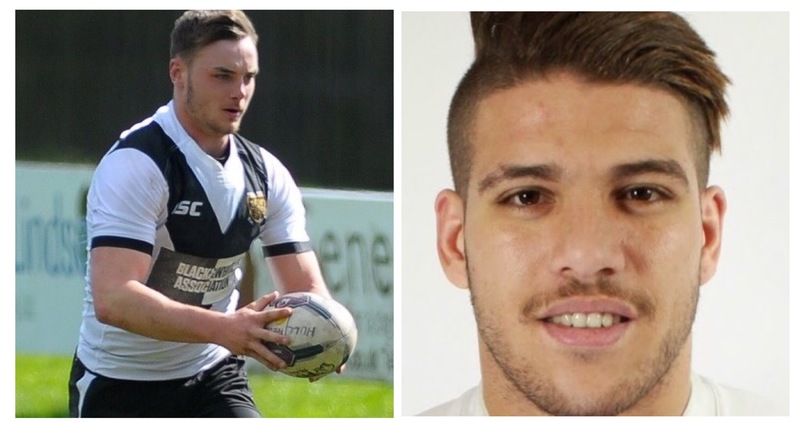 Elsewhere on trial fullback Hakim Miloudi made his Hull FC debut, and scored two tries in an eye-catching display, whereas Jack Downs backed up his recent run in the first team with another solid outing. Hull were terrific. They handed Saints a first ever defeat at this level in nearly two seasons in an enjoyable contest. It really defies logic why fellow Super League coaches fail to see the beneficiaries to the Reserves concept. Another classy affair, some slick tries were scored, yes defences weren’t brilliant, but they were tough and demanding conditions out there for both sides. Hull started the game superbly and quickly got on the front foot. Logan’s first involvement was a break, with the 22-year-old racing fifty metres before offloading to Nick Rawsthorne, with the latter winning a penalty. From that, some well executed quick hands opened the space for Matthew Cook to score the games first try. With poor completion creeping into Hull’s game, Saints began to get the upper hand, and Calvin Wellington made their opportunity count, powering over from close range. Saints continued to have the better of field position, but Hull kept them out with impressive scramble defence. The home side then took the lead again, with Logan’s delicate palm back finding Downs to score, in what was, in all honesty, a replica of Jamie Shaul’s historic Wembley winner last season. Rawsthorne converted, but Saints hit back with a quick fire double. Wellington got his second, before Ricky Bailey went under the posts for back to back tries. Hull though, and to their credit, ended the half strongly, with a second try for Downs bringing the score level, before some sheer brilliance from Miloudi gave them the lead, all, and to no surprise, on the back of Jez Litten’s distribution. Hull’s play goes up through the gears when he’s on the field, and he was electric from the ruck again, bit take nothing away from the talented fullback, who evaded several tackles to score. Josh Griffin, playing his first game at this level, went over for a try soon after the break, but Saints looked dangerous throughout, and scored themselves through their impressive fullback Bailey, who made no mistake in grabbing his second and third tries. Danny Richardson then went over to give Saints the lead, with Hull’s miserable period concluding with a sin bin for Miloudi for tripping. They picked themselves up though, in heroic fashion, and scored through Jack Sanderson, who spun out of the tackle to score. Hull at 30-30 kept knocking on the door, and got the sleeves into ascendency. Jack Wray missed a drop goal attempt, but they camped on Saints’ line, with the winning going to the Frenchman Miloudi. Hull Starting XIII: 1. Hakim Miloudi, 2. Nick Rawsthorne, 3. Connor Bower, 4. Matthew Cook, Jack Logan, 6. Marvin Lee, 7. Jack Wray, 10. Masimbaashe Matongo, 9. Josh Wood, 8. Ross Osborne, 12. Josh Griffin, 11. Jack Downs, 13. Zeus Silk. Interchange: 14. Jez Litten, 15. Ash Bastiman, 16. Alex Gilbey, 17. Connor Scott, Jack Sanderson, 5. Cameron Scott. St Helens Starting XIII: 1. Ricky Bailey, 2. Dave Eccleston, 3. Jake Spedding, 4. Calvin Wellington, 5. Adam Swift, 6. Rob Fairclough, 7. Danny Richardson, 8. Greg Richards, 9. Jonah Cunningham, 10. Matty Lees, 11. Jack Ashworth, 12. Dominic Peyroux, 13. Liam Cooper. Interchange: 14. Aaron Smith, 15. Ben Morris, 16. Brad Clavering, 17. Mike Weldon, 18. Jordan Olmez, 19. Owen Smith.